Whether you use a Mac, Windows, or Linux OS (operating system), you can find and install Python on your computer. The following sections give you instructions for each OS. Press Cmd+spacebar to open Spotlight. Or, from the Finder, select Finder→Go→Utilities→Terminal. In the terminal, type python. The Python interpreter that’s built in to Mac OSX opens. Unfortunately, Python doesn’t come on Windows. 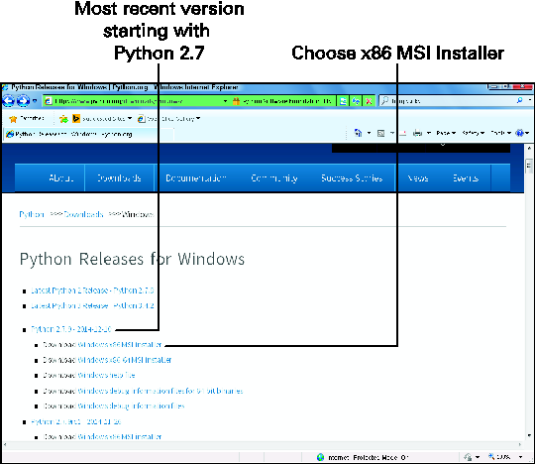 If you’re running Windows, then you need to download and install Python by following the instructions here. Installing Python on Windows isn’t difficult. If you can download a file from a website, you have the skills to install Python. Fortunately, the Python Foundation (the peeps who guide the development of Python) makes installable files available from its website. Firefox and Internet Explorer responded differently to the Python download website, so the instructions are based on which of these browsers you use. If you use a whole other browser altogether, try the Internet Explorer instructions. 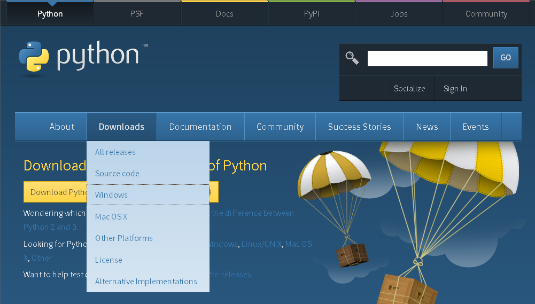 Click the button that says Download Python 2.7.9. Or, if it’s there, click a more recent version number that starts with 2.7. Clicking this button automatically downloads and saves an msi file for you. If not, try the instructions for Internet Explorer. See Figure 1. Figure 1: Download Python with Firefox. When the download’s complete, click the icon for Firefox’s download tool. Click the file called python-2.7.9.msi (or the more recent version, if you downloaded one). Python 2.7.9 installs on your computer. From the menu bar, select Downloads→Windows. You can see the menu options in Figure 2. 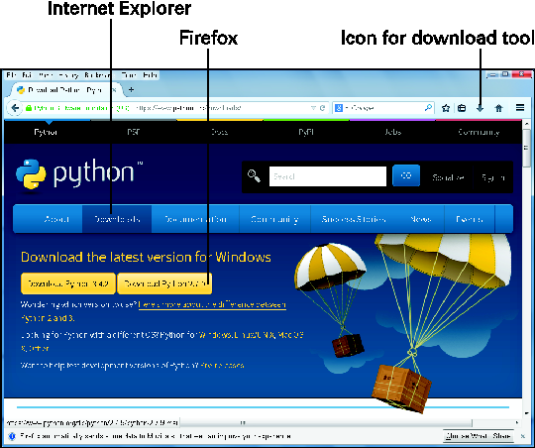 Figure 2: Download Python with Internet Explorer. Scroll down to the heading Python 2.7.9-2014-12-10. Or scroll to a more recent version, which starts with Python 2.7, if one is available. Under this heading, click the link titled Download Windows x86 MSI Installer. See Figure 3. This is a link for a 32-bit installation, which makes things work better with third-party libraries. Use the 32-bit installer even if you have a 64-bit machine and even if you have no idea what this paragraph is talking about. Figure 3: Python x86 MSI Installer. If you’re asked to choose whether to run or save the file, choose Run. This downloads python2.7.9.msi and starts running the installer. If you get a security warning when the installer begins (or at random times during the installation), choose Run. Accept the default installation options that the installer provides. If you’re running Linux, confirm that you have version 2.7.9 of Python installed, rather than version 3. This shouldn’t be a problem because Python 2.7 is installed by default in recent versions of OpenSuSE, Ubuntu, and Red Hat Fedora. In the nutty odd case when someone has Python 3 but not Python 2.7, read your distribution’s documentation for how to use the package manager and get Python 2.7 and IDLE.